Recap – October 2017 : Squad – Communicate. Coordinate. Conquer. We’re bringing you another recap, fresh off the presses. 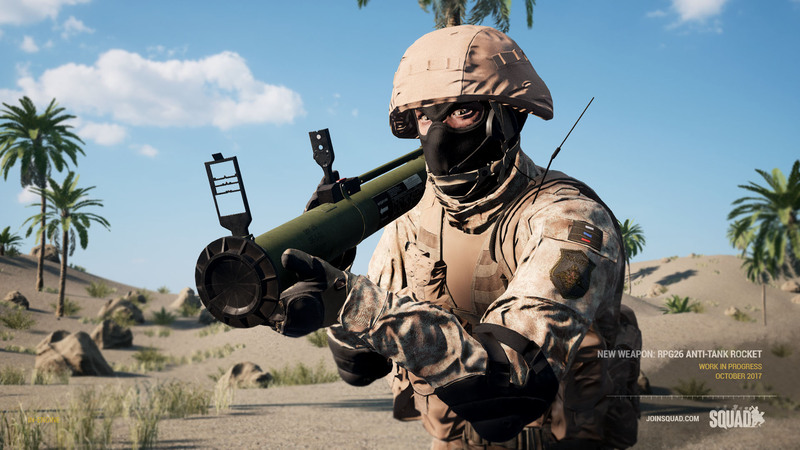 This recap contains some of the most recent efforts each of the teams have put into Squad to show off their work, and what’s coming down the road for Squad. The development team remains hard at work, so be sure to check back to see how everything is progressing, especially that new map! Since the last devblog on the animation system, we’ve continued to make progress at a steady rate, replicating features like Bipods and Freelook over the network. There have been some engineering challenges as we look at how to deal with bipods over the network and the way the player interacts with the surrounding obstacles as you swivel around. Regardless, progress is being made day by day, and we’ll keep you updated as major developments here happen. One system we managed to serendipitously add was a collision detection system to weapons. 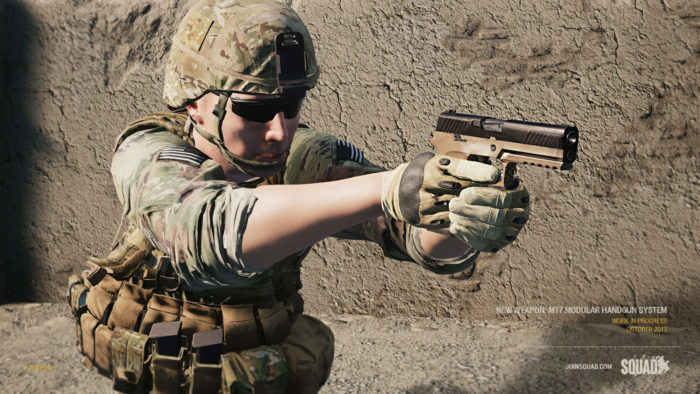 When you are up against a wall or obstacle, depending on the length of your weapon, it will lower out of the way and prevent you from firing and aiming down the sights. 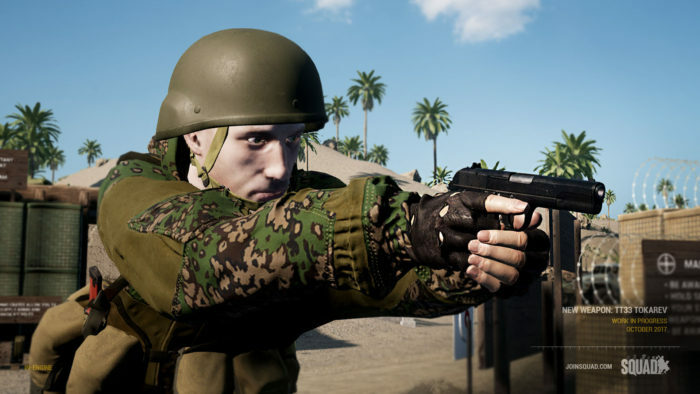 This will add another layer to weapon balance, especially when dealing with close quarter battle situations where bringing a shorter weapon would allow you to be more maneuverable. Pistols especially benefit from this as they practically require you to be right up against the wall before you’re too close. Our UI designers have begun step one of our plan to greatly improve the UI and menus both in and out of the game, beginning with the Main Menu. We’re aiming to not only make it more aesthetically pleasing, but also build in additional functionality like access to Modding (More info about this to come!). The background scene currently is a work-in-progress, but our artists are cooking up something special to go in there. 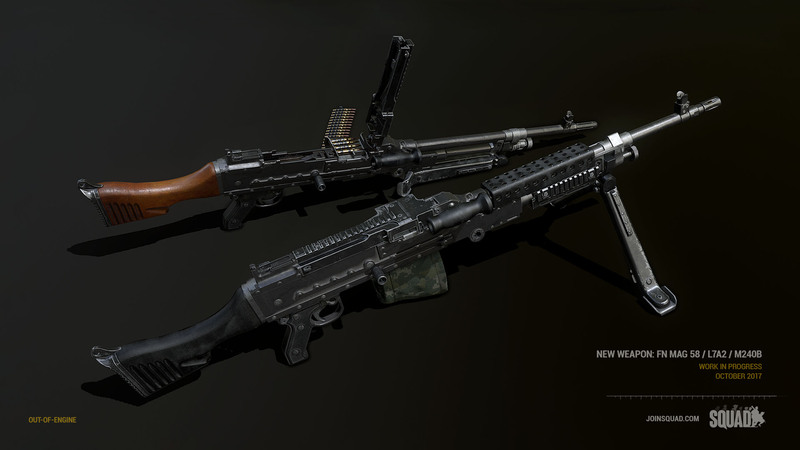 Featured previously in a monthly recap, the M240B (and to a larger extent the FN Mag 58 series of machine guns) has been styled and configured to the new animation system, ready to rock and roll come next major version. Developed in the 80s as a disposable rocket launcher counterpart to the M72, the RPG26 boasts a larger warhead than its American counterpart, and overall much lighter package compared to the traditional RPG7. When this weapon debuts you will take advantage of the adjustable sights system in order to make your shots count. A few new pistols will also make their debut in the next major version, with the Sig P320 (recently adopted as the M17 Modular Handgun System by the US Army); and the Soviet Era TT33 Tokarev for the Militia/Insurgents. 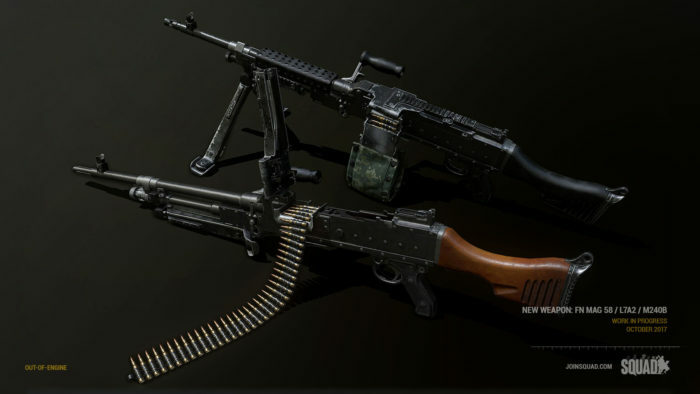 Both have their own distinguishing characteristics in terms of firepower and magazine capacity. Borrowing heavily from our experience with Fool’s Road, this reimagining of a classic Project Reality map pushes the envelope on vertical combat. 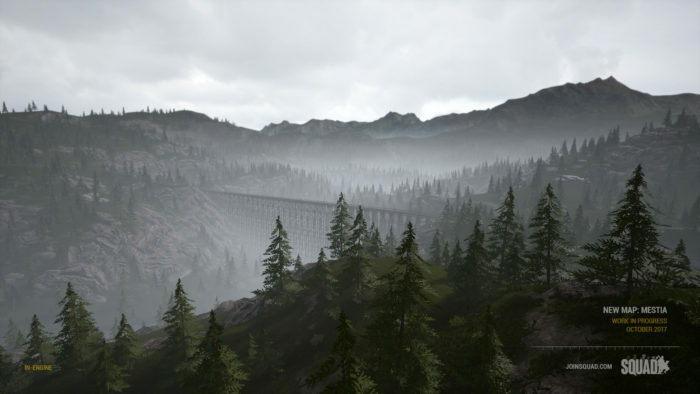 Focused around a triangle of mountainous fighting positions the map includes rocky faces and winding mountain passes that are sure to be a recurrent graveyard for unwary vehicles. 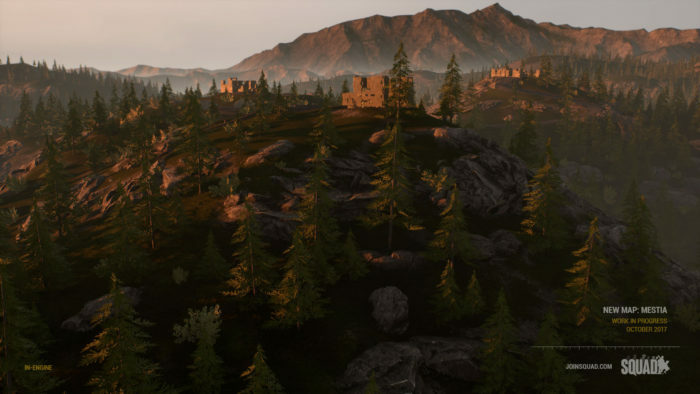 An infantryman’s dream, we are aiming to tuck a good amount of nooks and unique engagement locations throughout the map. 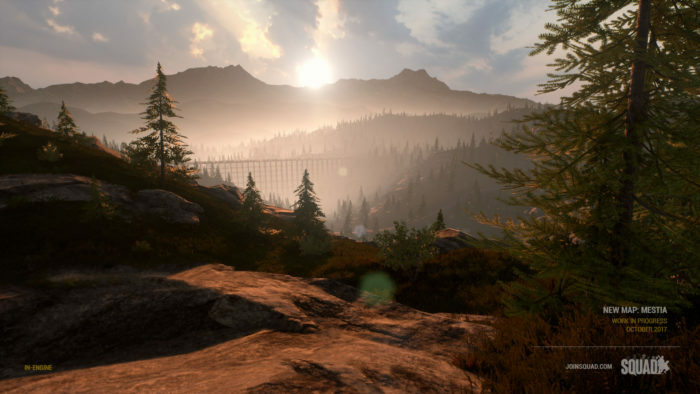 Mestia was begun by our recent modder turned developer Axton and polished up by the development team. We expect the map to be completed and ready to roll before Christmas! Among primary development on version 10 and other departments making ground for future content, we have plenty still left in the barrel. Expect continued updates on this in more dev blogs and monthly recaps to come! Stay safe, squaddies.